Our office is located beside the David R. Kahn Jewish Community Campus. Please be aware that our office is open by appointment only so please call or email us first before stopping by when we aren’t open to the public. Note that some days we do experience a high call volume, so please leave a message and we will get back to you as soon as we can (within 24 hours of your call). We respond to emails and Facebook messages as well. 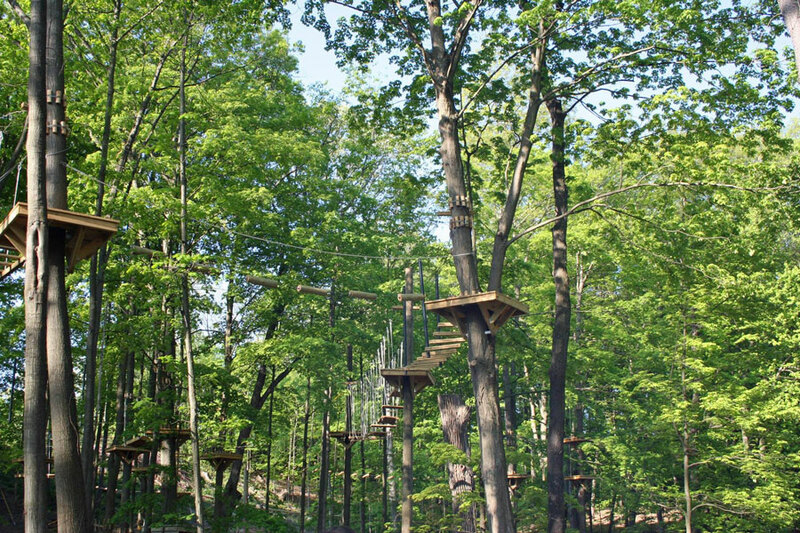 We always recommend making reservations before coming out to the park. We have larger groups that will book out times or we periodically close the park early if we don’t have any reservations and the weather is not so great. Please contact us to book your next climb! We reserve the right to shut down the park early due to lack of reservations and/or poor weather. Please note that we reserve the right to shut down the park early due to lack of reservations or poor weather. Reservations are highly recommended. We will have extended hours for Spring Break- Stay Tuned! Check out Facebook or Special Events Page for special extended hours for special events! The Welcome Center is open for ticket sales during an open climb. For any group reservations, you will check in here before your climb. Please make sure to show up at least 15 minutes before your scheduled climb time, to make sure you are ready and fully checked in for your scheduled climb time. Please note that we reserve the right to shut down the park early due to lack of reservations or poor weather. Reservations are highly recommended! Note that the hardest courses shut down an hour before the park closes, so if you are attached to completing those during your time here, you will want to make sure you book your ticket early enough in the day (each course on average takes 30-45 minutes to complete – sometimes longer on busier days). 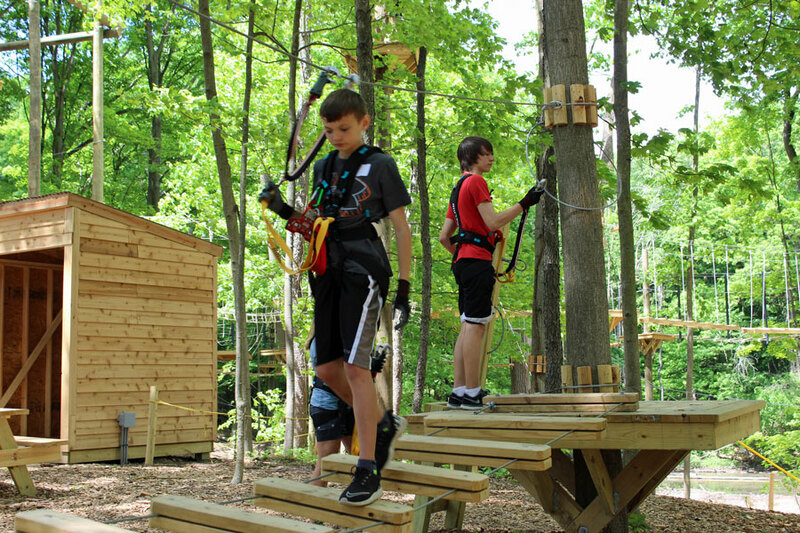 When climbing at our park, you must complete an easy course before completing a medium course, and a medium course before trying either of the harder courses. We do facilitations at every half hour, so if you are on a tight schedule, make sure you show up 15 minutes before your desired climbing time to ensure you have an adequate amount of time to check in before heading down. This process can be expedited by signing waivers before checking in, which can be found under “Booking Options” above.